All the activities, associated with the sourcing, procurement, conversion and logistics management, comes under the supply chain management. Above all, it encompasses the coordination and collaboration with the parties like suppliers, intermediaries, distributors and customers. Logistics Management is a small portion of Supply Chain Management that deals with the management of goods in an efficient way. Supply Chain Management, it is a broader term which refers to the connection, right from the suppliers to the ultimate consumer. It has been noticed that there is a drastic change in the manner in which business was conducted many years ago and now. Due to the improvement in the technology, which leads to the development of all key areas of business. Supply Chain Management also evolved as an improvement over Logistics Management, from past years. Check out this article to understand the difference between Logistics Management and Supply Chain Management. Meaning The process of integrating the movement and maintenance of goods in and out the organization is Logistics. 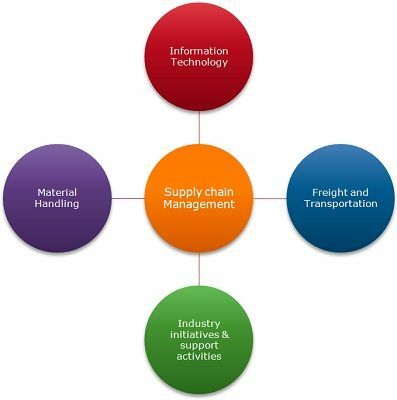 The coordination and management of the supply chain activities are known as Supply Chain Management. Evolution The concept of Logistics has been evolved earlier. Supply Chain Management is a modern concept. One in another Logistics Management is a fraction of Supply Chain Management. Supply Chain Management is the new version of Logistics Management. Outbound Logistics: The activities which are concerned with the collection, maintenance, and distribution or delivery to the final consumer. Apart from these, other activities are warehousing, protective packing, order fulfillment, stock control, maintaining equilibrium between demand and supply, stock management. This will result in savings in cost and time, high-quality products, etc. Supply Chain Management (SCM) is a series of interconnected activities related to the transformation and movement of raw material to the finished goods till it reaches to the end user. It is the outcome of the efforts of multiple organizations that helped in making this chain of activities successful. These organizations may include the firms with whom the organization is currently working like partners or suppliers, manufacturers, wholesalers, retailers, and consumers. The activities may include integration, sourcing, procurement, production, testing, logistics, customer services, performance measurement, etc. 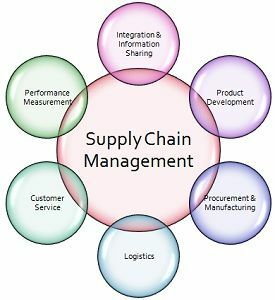 Supply Chain Management has a multi-dimensional approach which manages the flow of raw materials and works in progress (semi-finished goods) within the organization and the end product outside the organization till it reaches the hands of the final consumer with a complete emphasis on the customer requirement. The flow and storage of goods inside and outside the firm are known as Logistics. The movement and integration of supply chain activities are known as Supply Chain Management. The main aim of Logistics is full customer satisfaction. Conversely, the main aim behind Supply Chain Management is to gain a substantial competitive advantage. There is only one organisation involved in Logistics while some organisations are involved in Supply Chain Management. Supply Chain Management is a new concept as compared to Logistics. Logistics is only an activity of Supply Chain Management. Logistics is a very old term, firstly used in the military, for the maintenance, storage and transportation of army persons and goods. Nowadays, this term is used in many spheres, not specifically in the military after the evolution of the concept of Supply Chain Management. It has also been said that SCM is an addition over Logistics Management as well as SCM comprises of logistics. Both are inseparable. Hence they do not contradict but supplement each other. SCM helps Logistics to be in touch with the transportation, storage and distribution team. Good article. It will definitely help with my research project. A fantastic breakdown of logistic and supply chain management. and better than my study material . Thanks for sharing this article. It provides a distinguishing features of logistics and supply chain management. Very good article. Can you provide references? Thankyou, it will be a worthful article for students like me who were confused in both these terms………This Article cleared me the whole Picture….. Thank you very much for putting this information very nicely. It really helped to understand the difference between the two and how are they interrelated. It will surely help me ? Well explained the difference between the two. Easy to uderstand. Thank you for this article ,it’s very helpful . Could you please tell me which sources (books, articles ,conferences …) you have used to write this valuable article.